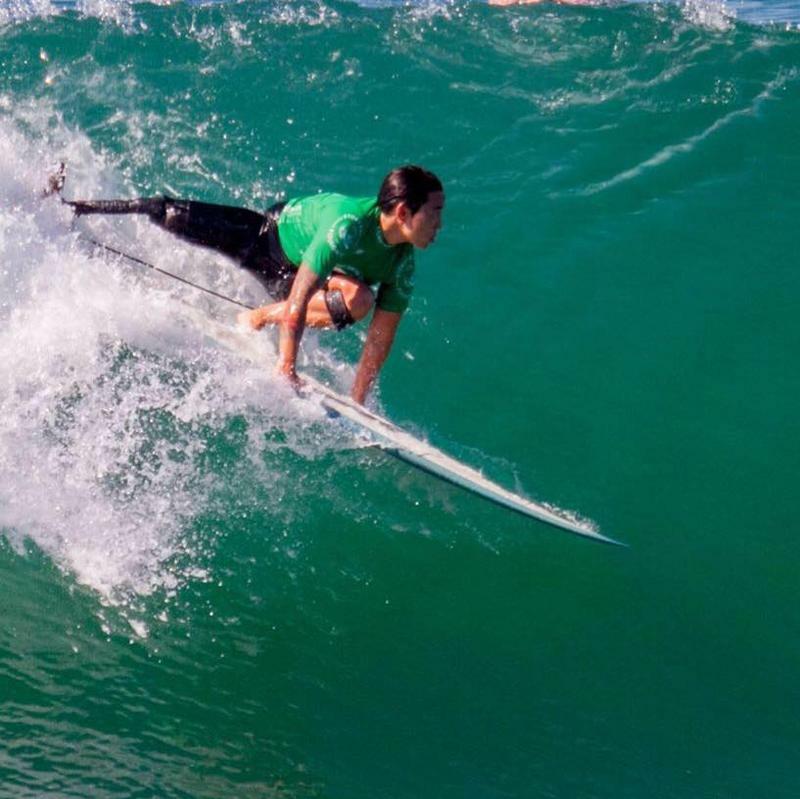 Adaptive Surfers from around the world are expressing displeasure with a new scoring policy. The sport of adaptive surfing uses modified boards and equipment to allow people with physical limitations to ride ocean waves. The sport has been gaining popularity worldwide after the Hawaii-based organization Access Surf started the first ever adaptive surfing contest 11 years ago. 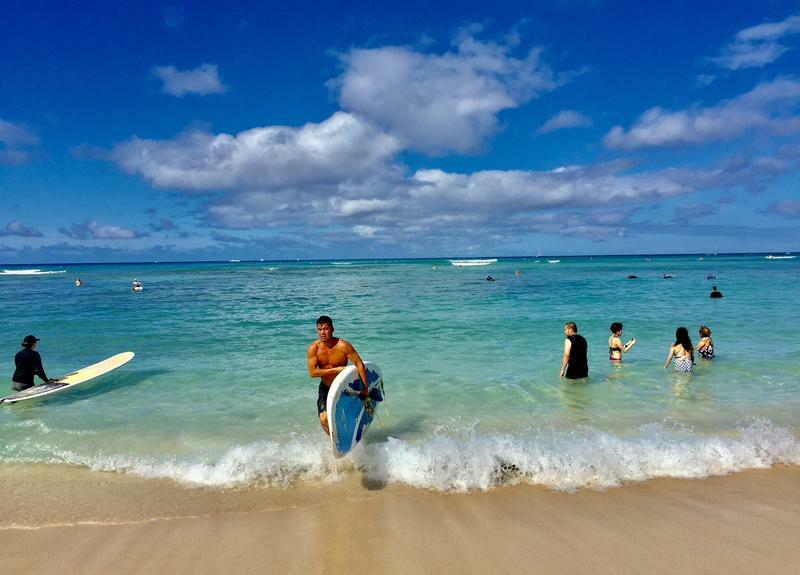 Hawaii is known around the world as the birthplace of surfing. In the Territorial Days, Duke Kahanamoku introduced the Western world to the sport of wave riding at Queen's surf break in Waikiki. Now, under the watchful gaze of the Duke statue, Queens is once again the site of a milestone event in the world of surfing. The 11th annual Hawaii Adaptive Surfing Championships wrap up today in Waikiki. There are plenty of surf competitions across Hawaii – but this one is unique among them. The big difference? Many of the competitors arrive at the beach in a wheelchair. 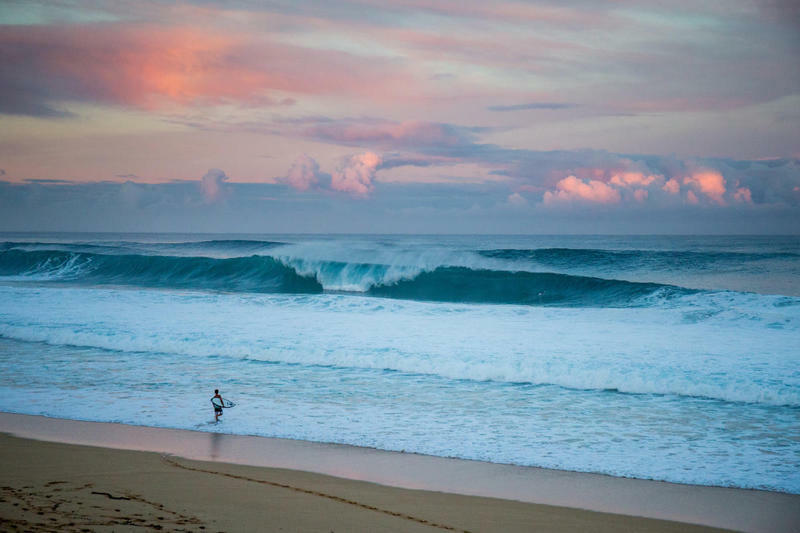 Could This Be the Last Chance to See a Surf Champion Crowned at Pipeline? 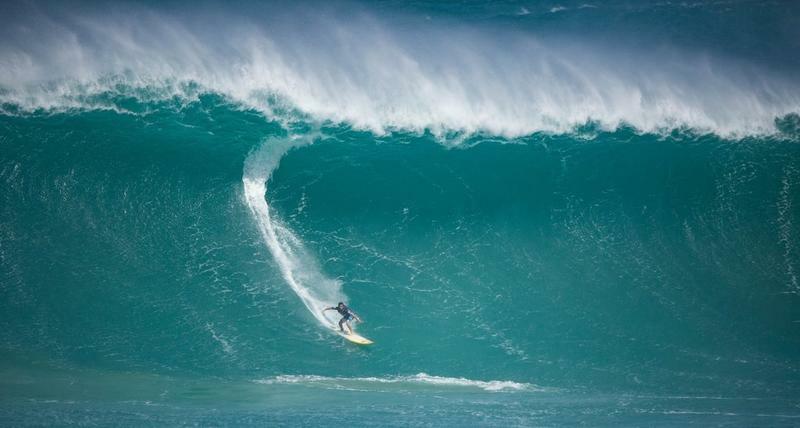 The world title showdown continues for top surfers on the North Shore. 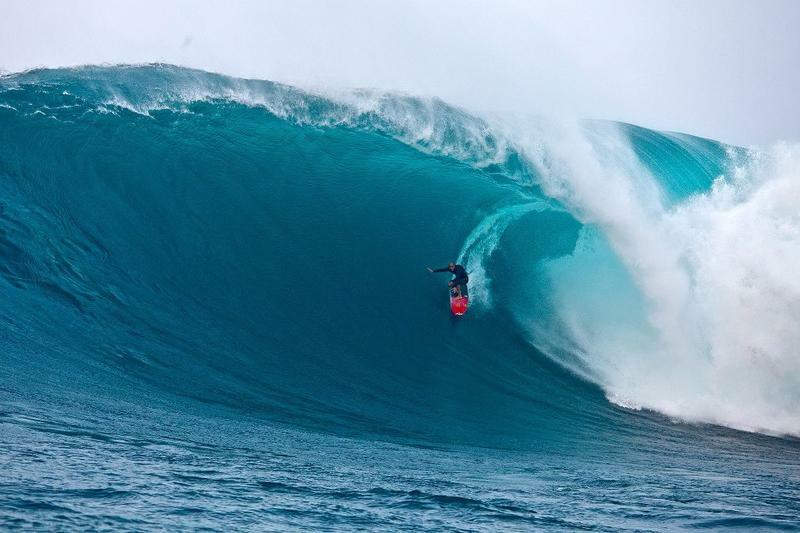 Competition kicked off Monday for the Billabong Pipe Masters. Surfers and surf fans alike are anxiously waiting to see who comes out on top. But as HPR’s Kuʻuwehi Hiraishi reports, this may be one of the last opportunities to see a world champion crowned at Pipeline. 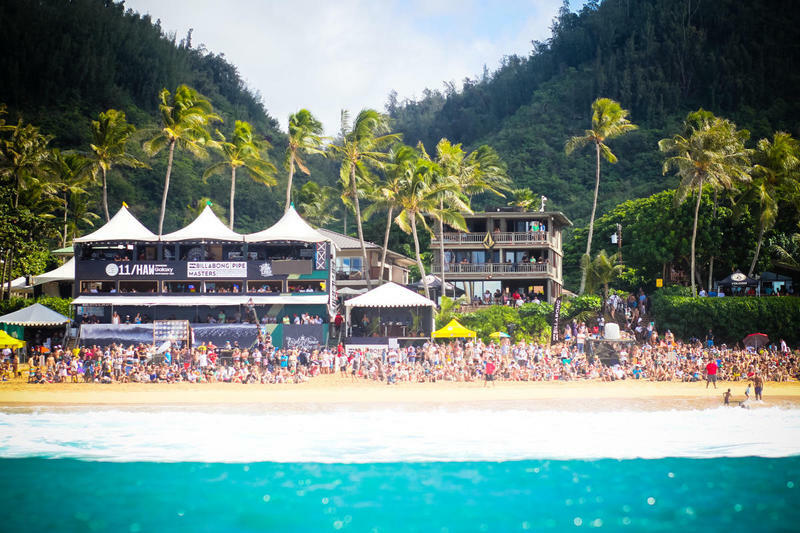 The Billabong Pipe Masters surfing competition could start any time as the holding period opens. 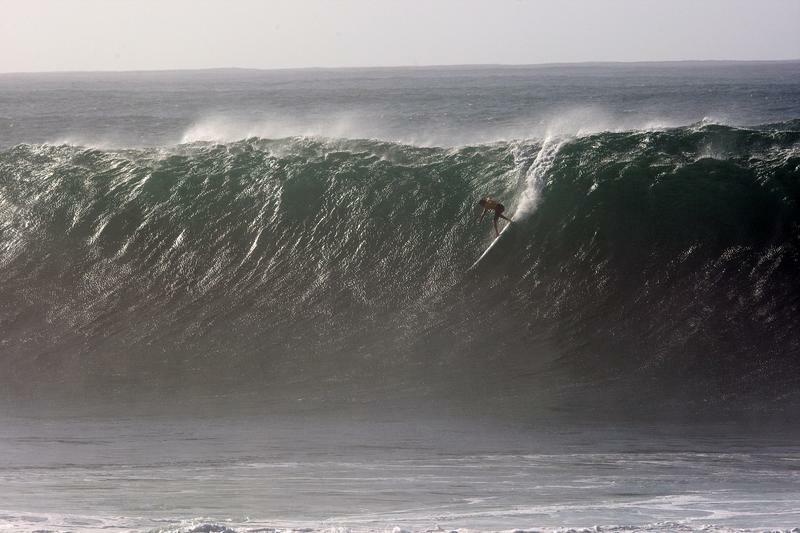 The annual event off ‘Ehukai beach is considered the super bowl of surfing events, being one of the most attended as well as the most prestigious of the competitions. It’s also the conclusion of ten competitions in the world surf league. Organizers say the close viewing proximity from the shore…mixed with the danger of the reef make pipeline one of the most exciting contests to watch. Bron Heussenstamm is a former competitor…and representative for the event. 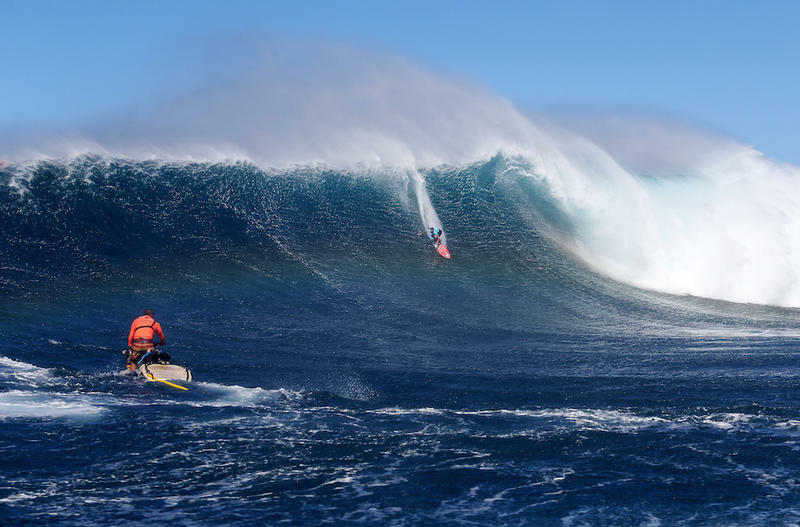 The large surf hitting the Hawaiian Islands is a welcome sign for big wave surfers competing in the Peahi Challenge at “Jaws” in north Maui. The competition was put on “Green Alert” by organizers, and first heats are expected to begin as early as 7 this morning if favorable conditions hold. Forecasts call for light winds and surf around 30 feet, which is considered “medium” for the competition. The competition is also hosting a women’s division for the first time in event history. 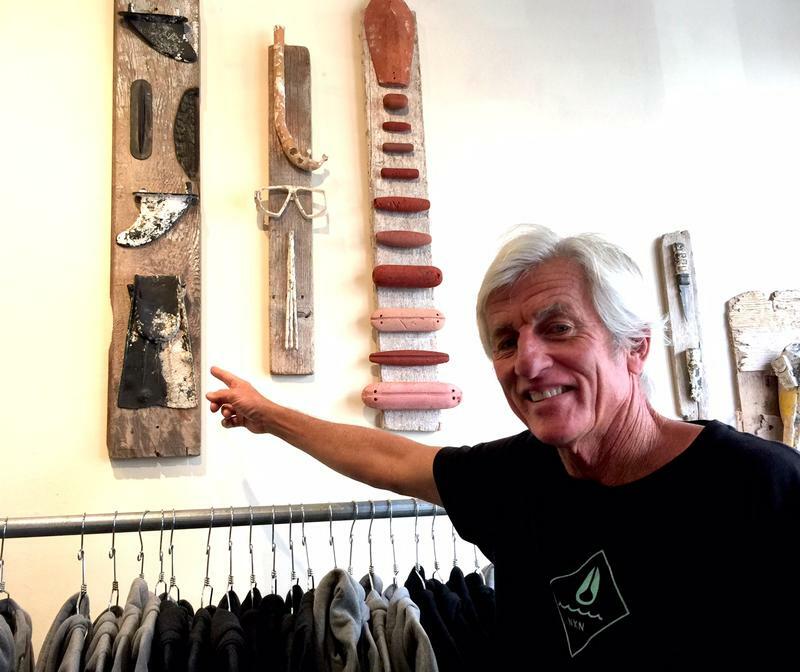 Peter Mel is the Commissioner the World Surf League’s Big Wave Division. Strange but true — the next big wave in Hawaii resorts might be those featuring artificial surf lagoons. Pacific Business News Editor in Chief A. Kam Napier has more. 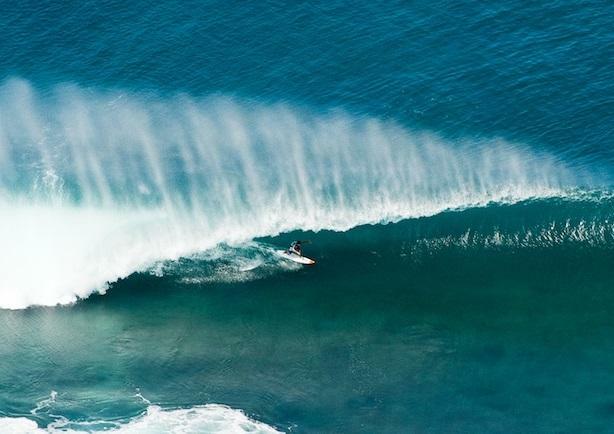 Hawai‘i is the birthplace of the sport of surfing, and home to some of the world’s most famous surf breaks. But for visitors seeking to hang 10, surfing out in the wild poses two challenges. It can be unpredictable, and it can be dangerous. So perhaps it’s not so surprising that not one, but two new resorts are being planned for West O‘ahu that prominently feature artificial wave pools. 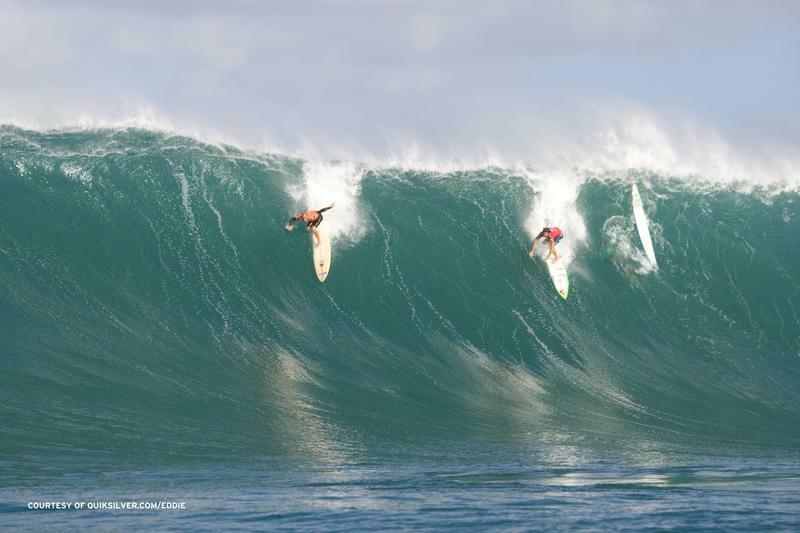 After a six-year wait and one false alarm… The “In Memory of Eddie Aikau” big wave surf competition was a “Go”. 6:30am update: The Eddie has been called off. Event officials say the big wave surf contest will not run at Waimea Bay today due to slowly building conditions. 5:30am update: The Eddie MAY Go. Swell has shifted, with Waimea no longer getting a direct hit. Start of contest may be delayed till noon. Officials are contemplating running a modified heat format. Parking in Waimea valley has been filled for hours, and there are reports of heavy traffic delays. After a six-year wait…Eddie will GO. The three-month holding period for the 31st annual “In Memory of Eddie Aikau” big wave surfing competition begins on December 1st. 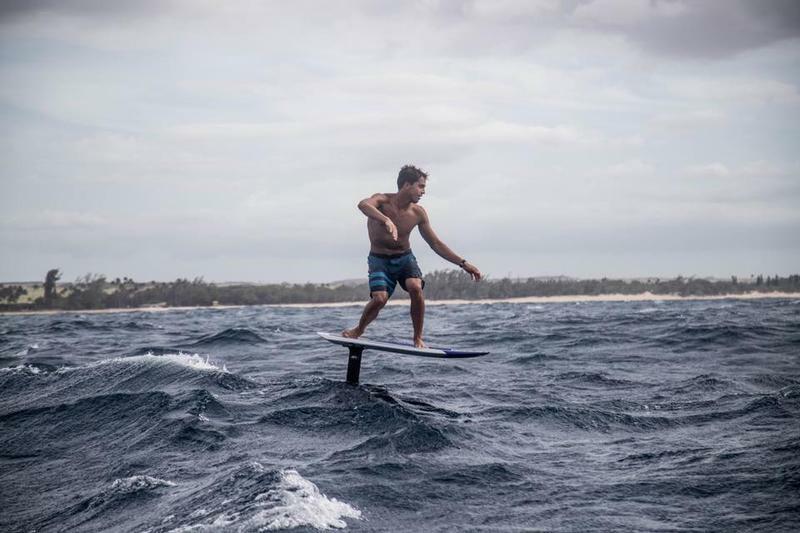 The one-day big wave surfing event held in Waimea bay follows strict wave height requirements that mimic conditions Eddie Aikau liked to ride with faces of 40-feet and hold for at least eight hours.